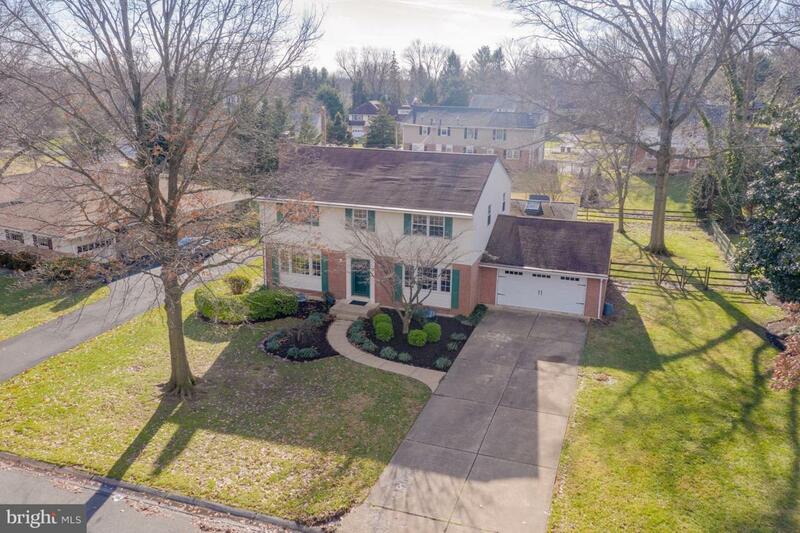 Beautiful 4-5 bedroom, 2.5 bath expanded regent colonial with an awesome 1st floor addition that includes a family room, bedroom/multi-purpose, laundry and bonus shower! Step into the main foyer and the first thing you~ll notice are the recently refinished hardwood floors that run throughout the house. 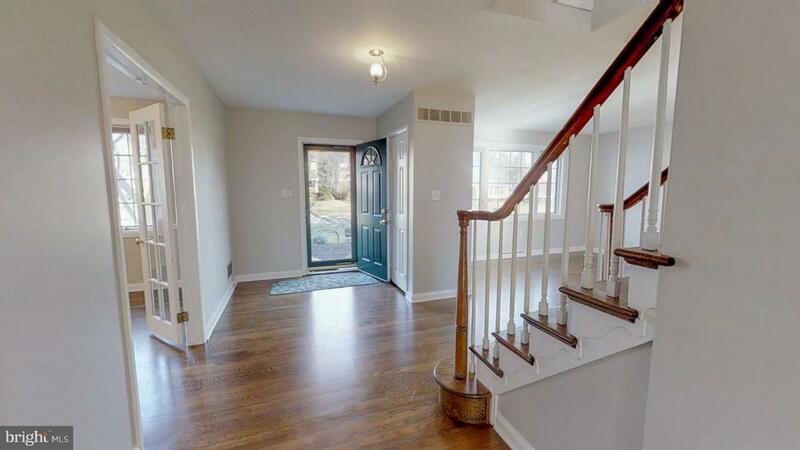 To the left is a bright spacious formal living room with brick fireplace. Off the living room, you~ll find a large study/office with double glass doors. To the right of the front entrance through glass French doors is the formal dining room with chair rail molding and chandelier and opens into the fully renovated kitchen which boasts Cherry cabinets, over-sized tile floor, tile backsplash, Corian counters, double sink, stainless steel appliances, recessed lighting, ceiling fan, and pass through to the addition. The family room features vaulted ceiling, skylights, recessed lighting, ceiling fan, and new, neutral carpeting. 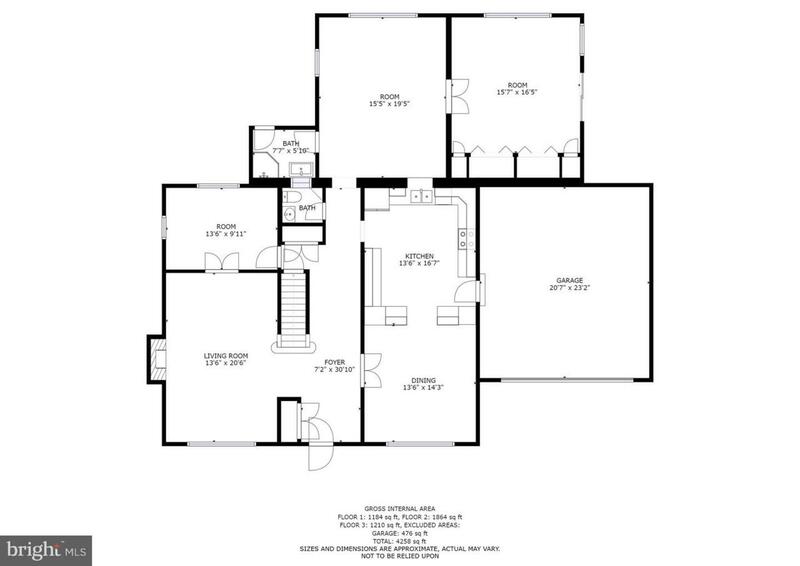 Off one side of the family room you~ll find a powder room and adjacent bath with walk-in stall shower, and on the other, the added bedroom, media room, multi-purpose space with full wall of closets with washer & dryer (included), skylights, ceiling fan and sliders to the side yard. Upstairs are four generously-sized bedrooms. The master suite boasts a walk-in closet with organizer and full updated bath with over-sized subway tiled shower with glass doors and stunning basket weave tile flooring. Each of the three additional bedrooms have ceiling fans and closets and share a full renovated bath in the hall cherry vanity, white subway tile and tub also with custom glass doors. With three upstairs-hall closets, a bonus room, and a full unfinished basement, this home has ample storage space. 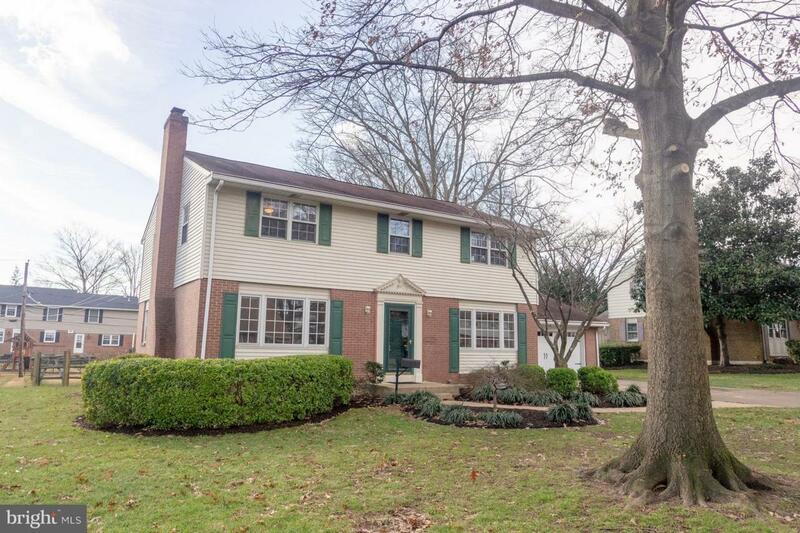 Fresh paint throughout in stylish colors and new landscaping, create a move-in ready home.